Kentucky and the 2009 SEC Tournament. Kentucky takes out Ole Miss in the first round. The team played energetically and seemed to be running on all cylinders. Darius Miller makes a statement and shows his potential for good things in the 2010 season. Meeks gets his 25. Patterson gets his after announcing that he’ll be back in 2010. On Patterson, if he still is staying come the NBA Draft…I’ll believe it. The kid has to take into account his draft status and such before making a definitive statement. But it sounds like he has no problem with the coaching staff. 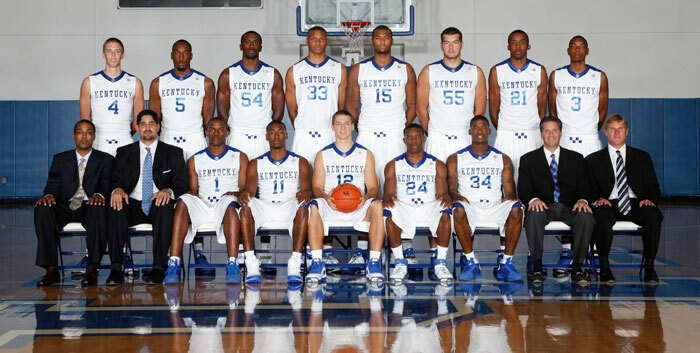 This has been a strange year at UK Basketball. Hope Pat and Jodie stick around and make next year phenomenal. Next year is a pivotal year in the Billy Saga. Let’s hope the tournaments of 2009 are harbingers of good things to come. The Big Blue Nation is tired of losing. Meeks and Patterson lead UK over Ole Miss. After a thrilling comeback win over Kentucky gave LSU the SEC title, the Tigers suffered a letdown to close the regular season, losing their last two games. Six days off could end up refreshing the 20th-ranked Tigers, who begin their push for their first SEC tournament title in 19 seasons with a Friday rematch with the Wildcats in the quarterfinals. The Tigers (25-6) have been one of college basketball’s surprise teams under first-year coach Trent Johnson, riding a 13-game win streak in conference play to their first regular-season league title since 2005-06. LSU clinched the championship with a 73-70 victory at Kentucky on Feb. 28, rallying from 12 down before hanging on for the win. LSU played like a team that was mentally and physically tired after that game, falling 75-67 at home to Vanderbilt on March 4 and 69-53 at Auburn on Saturday. The Tigers shot a season-low 32.1 percent against Auburn and scored their fewest points since a 47-45 loss to Tennessee last season. “Their focus was not lacking, but there were some guys who were tired and banged up and all those kinds of things,” Johnson said. “Days off at this time of the year would benefit any team. … I’ve been in situations where you had a bunch of guys with a day off, and we came out at struggled. Question is will that be Billy Gillispies last game in the SEC? Will UK slide into the backdoor of the NCAAs or are they NIT bound? If they do go to the NIT, what happens then? I’m not very excited about an NIT bid. If I was home, I’d watch anyway. Here, in Afghanistan, Ii won’t get the chance to watch. AFN pretty much ignores the NIT in favor of the NCAA. Which is the way it should be with the programming/air time as tight as it is.